I accomplished some of all of my goals, but not all of one of the goals by Sunday night. It is now Tuesday and the Avignon Picnic quilt top is together. 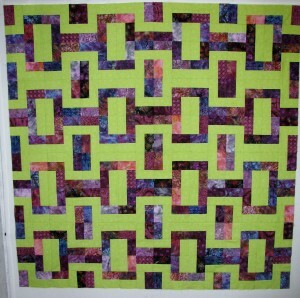 This pattern is Avignon Picnic Quilt from the Moda Bake Shop website and measures 64″ square. The color combination is a bit different for me, but I like it. The second goal was binding on my RRCB. 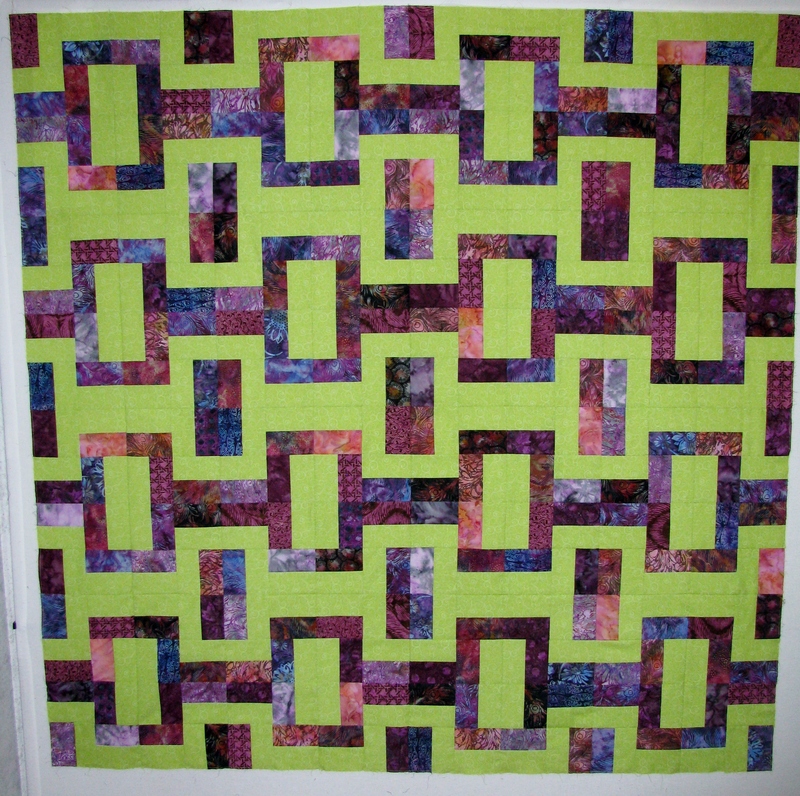 The binding is cut and the quilt top is trimmed, but that is all I accomplished. I am planning on sewing the binding on tonight. Taming the scrap bin was the third weekend goal. The bin isn’t empty, but it is not spilling over the top either so I am calling this goal accomplished. After all the scrap bin is really more of an on-going project than a one time goal. It is time to head to the sewing machine and get that binding on.